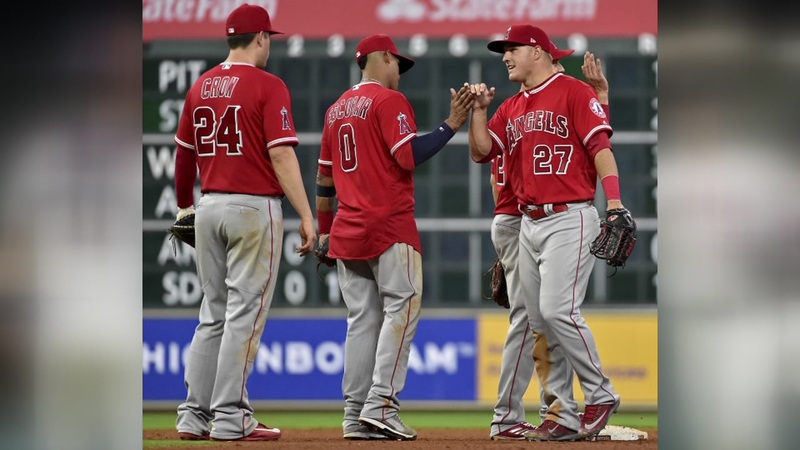 The Los Angeles Angels never lost faith in a lineup featuring Mike Trout and Albert Pujols. However, as their scoring drought stretched to 21 innings, they were certainly wondering when they'd get back on track. 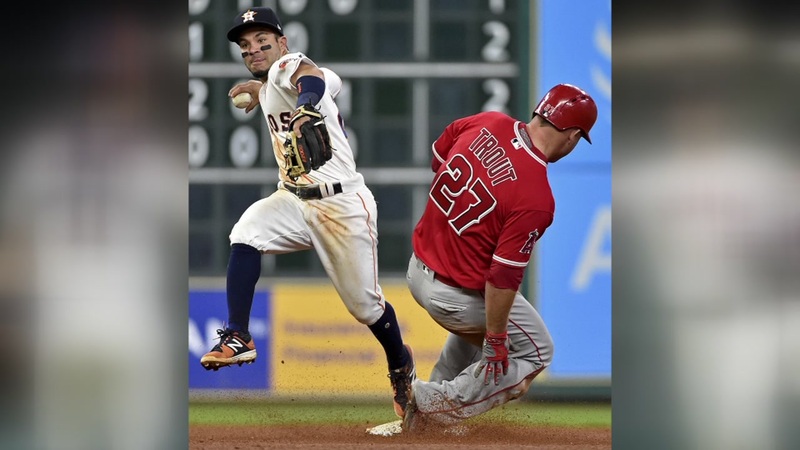 It finally happened on Tuesday night when Pujols hit a tiebreaking three-run homer in the fifth inning to give the Angels a 5-2 victory over the Houston Astros and snap a six-game skid. "We have a lot of confidence in our offense," manager Mike Scioscia said. "I don't think anyone was doubting that we wouldn't get back on track. But the sooner the better." The game was tied at 2-all with one out in the fifth when Pujols hit his second homer of the season. "You are always pleased any time you get an opportunity to help the team win," Pujols said. "That's my job. I just put my best swing on it. I'm glad we came out with a win." Pujols has 54 career home runs against the Astros, the most by any player against Houston. He's gone 10 for 34 after getting just one hit in his first 20 at-bats this season. But it was Andrelton Simmons who got the Angels on the board first with his homer in the second inning. Trout also drove in a run as they scored more runs than they had in their previous four games combined. 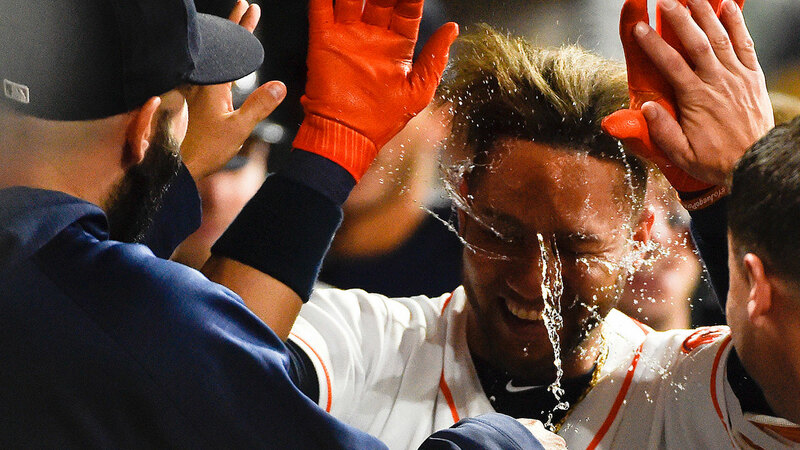 George Springer hit his AL-leading seventh home run for the Astros, whose five-game winning streak was snapped. 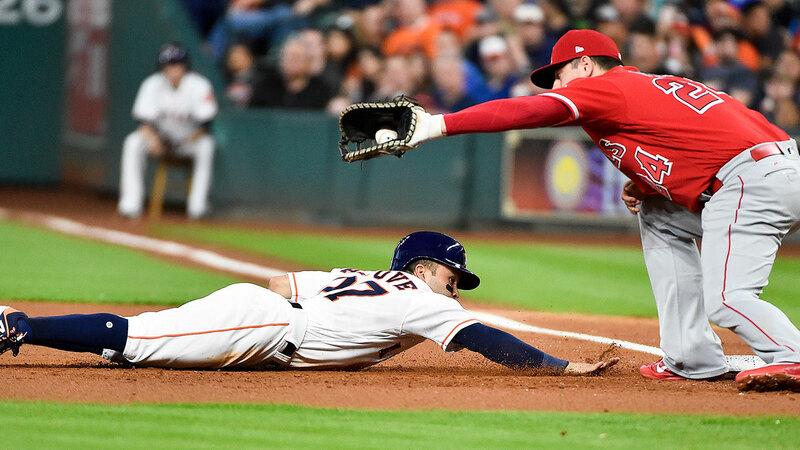 Angels starter Ricky Nolasco (1-2) yielded eight hits and two runs in six innings to improve to 5-0 in six career starts against the Astros. Cam Bedrosian got the last six outs for his third save. 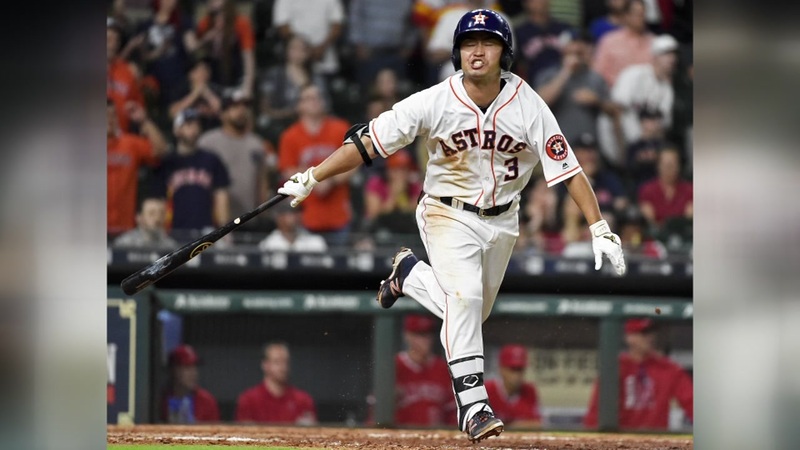 Houston had runners at second and third with two outs before he retired Nori Aoki to end the game. 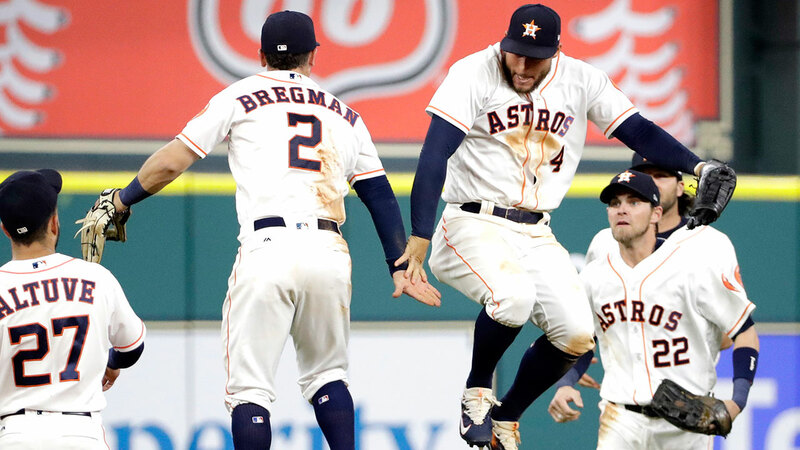 Houston starter Joe Musgrove (1-1) allowed eight hits and five runs in five innings for the loss. "I felt like I threw the ball well tonight," he said. "Just a few mistakes and a couple balls they took advantage of. I try not to look at it as failure, I try to look at it as feedback and bounce back next time." The homer by Simmons gave Los Angeles a 1-0 lead in the second inning. 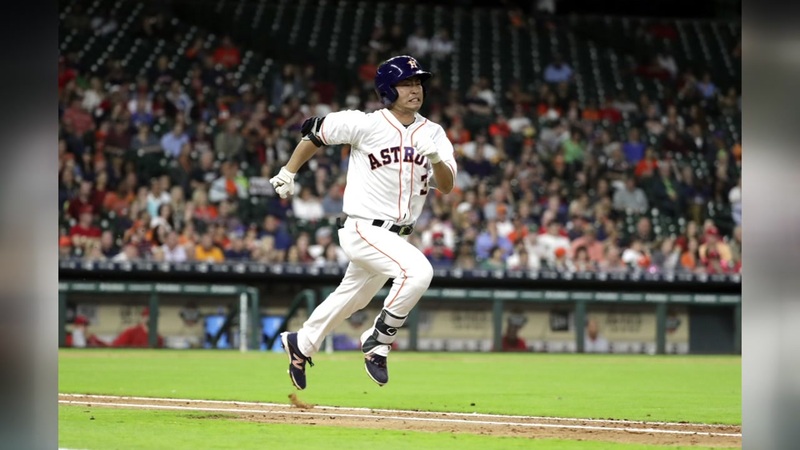 Yuli Gurriel sent the first pitch of Houston's third to the seats in left field, and the Astros took a 2-1 lead when Springer connected on his home run with one out in the inning. 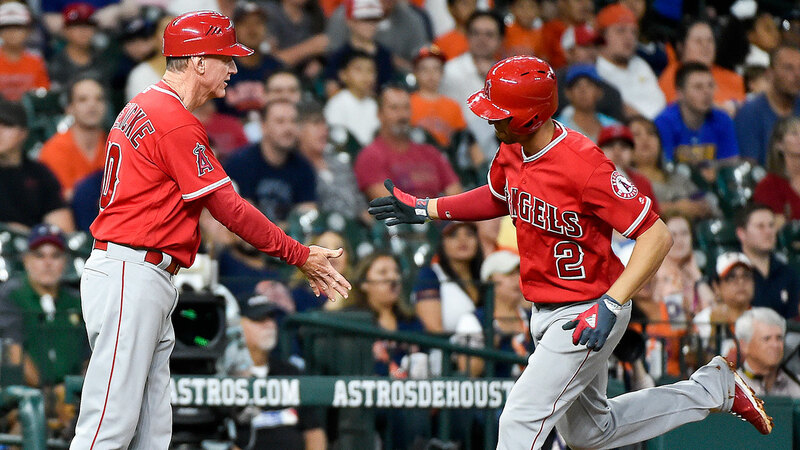 Martn Maldonado and Yunel Escobar hit consecutive singles in the fifth before scoring on a double by Trout , which sailed just out of reach of a diving Springer to score Maldonado and tie it. Pujols then connected on his homer -- a soaring shot that landed on the train tracks atop left field -- to put Los Angeles up 5-2. 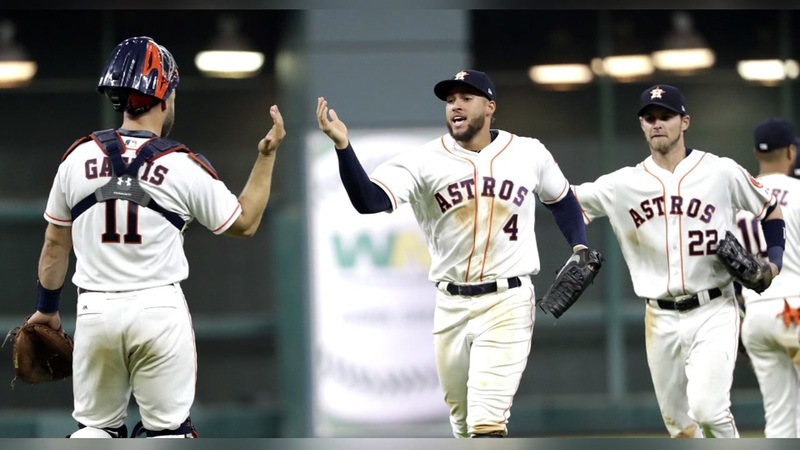 Bud Norris pitched a scoreless seventh in his first appearance at Minute Maid Park since being traded by the Astros in 2013. 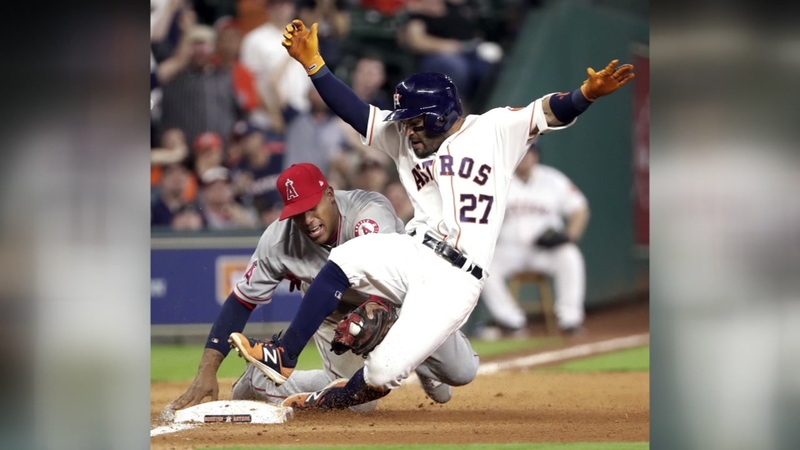 Astros: SS Carlos Correa missed his second straight game because of soreness in his right hand after he was plunked on Saturday. 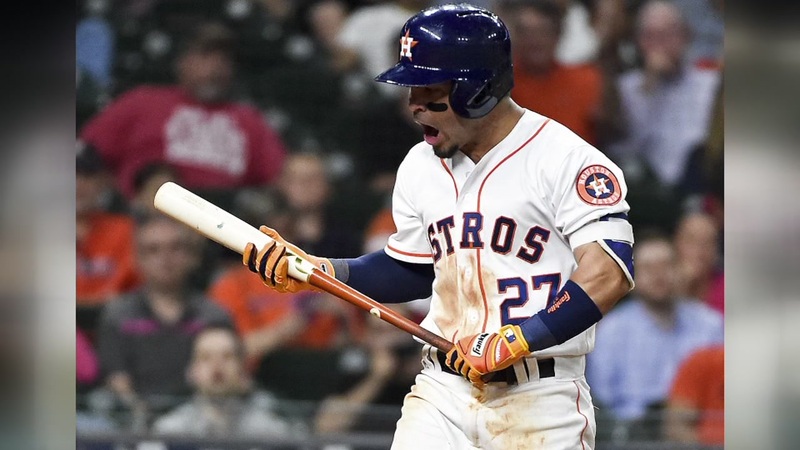 Correa said he felt better on Tuesday but that it was still hard to grip a bat. "It's early in the season so I don't want to be playing out there hurting right now," he said. "There's still a lot of games to play so I still want to be able to be able to play most of the game." The Angels didn't take batting practice on the field before Tuesday's game in an attempt by Scioscia to shake things up. "Just trying to break the routine a little bit ... sometimes you've got to go American Legion and come out here and just play," he said with a smile. Before the game, the Angels acquired C Juan Graterol from Toronto for a player to be named or cash. OF Ryan LaMarre was designated for assignment. Angels: J.C. Ramirez will make his fifth appearance and second start on Wednesday night. Ramirez allowed four hits and five runs in his first career start, a loss to Kansas City on April 14. Astros: Left-hander Dallas Keuchel is scheduled for his fourth start on Wednesday. Keuchel is off to a strong start this season, going 2-0 with a 0.86 ERA and pitching seven innings in each of his first three outings. Albert Pujols breaks a 2-2 tie with a 3-run home run in the fifth inning against the Astros.